The Theater Arts Department and the Cultural Arts and Diversity Resource Center present the groundbreaking play A Raisin in the Sun by Lorraine Hansberry, directed by UCSC lecturer Don Williams, featuring drama students from the UCSC African-American Theater Arts Troupe, and guest starring as Mama, award-winning actor and UCSC alumna Adilah Barnes* (Erin Brockovich, Roseanne, Cold Case, Prime Suspect…). Considered a significant turning point in American theater because it addresses crucial racial and cultural concerns during the 1950s in the United States, A Raisin in the Sun takes a courageous look into how the “American Dream” excluded and marginalized African-Americans in our society. Influenced by Hansberry’s own experiences, it also tackles head-on, various hot-button issues that remain relevant today, including discrimination, cultural identity, feminism, and abortion – topics that were considered off-limits when the play originally debuted in 1959. Advance tickets available online only. 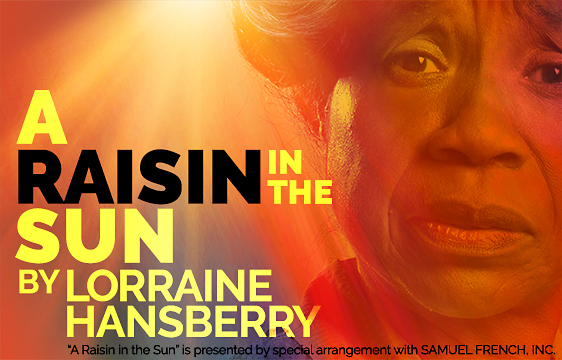 “A Raisin in the Sun” is presented by special arrangement with SAMUEL FRENCH, INC.
Running time approx. 2.75-3 hrs.